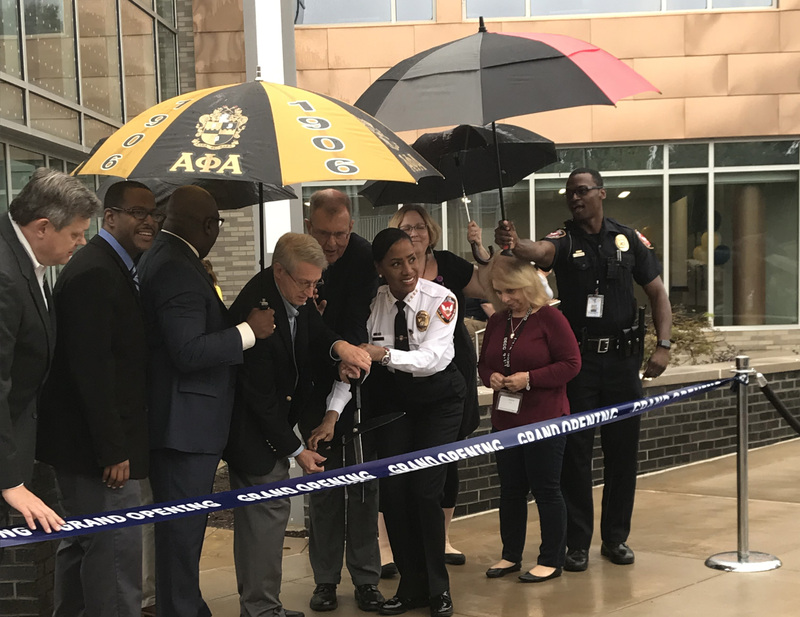 October 20, 2018 – The City of Durham held their grand opening and ribbon cutting for their new Police Headquarters located at 602. E. Main Street in downtown Durham. Open to the public, the City provided food trucks, music, children’s activities, as well as informational tents from several of the City’s departments. Tours of the building were also held on the hour for the public. The official ribbon cutting took place at Noon with Chief of Police, C.J. Davis, at the helm. 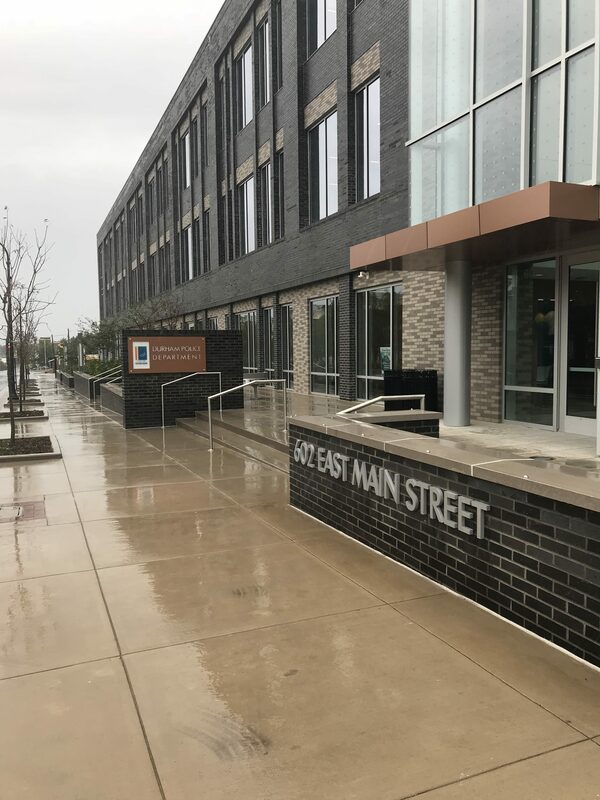 Despite the rain, the community showed up eager to celebrate and learn more about this beautiful building that will soon serve the public. Providing materials testing and special inspections during construction, Falcon is pleased to have been a part of such an iconic building for the citizens of Durham. More from the Herald Sun: Get a first look inside the new Durham Police Department headquarters.